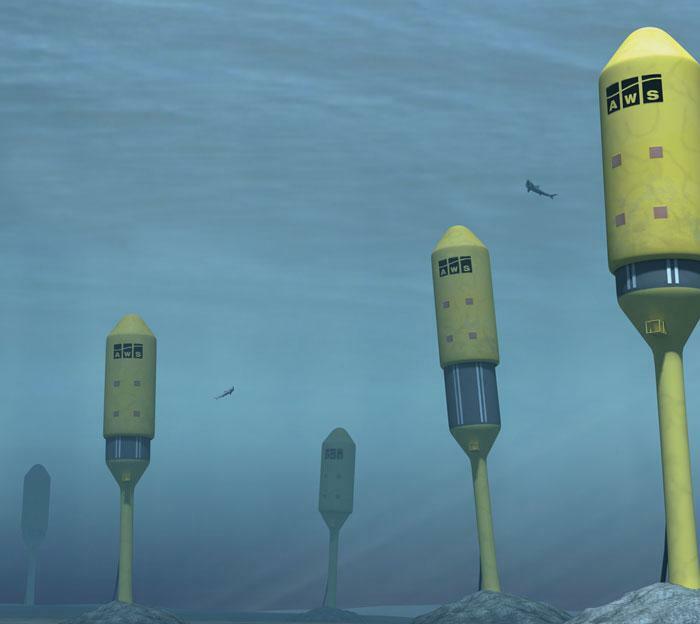 A nice piece here on new ways to harness wave energy with underwater buoys. These would be less intrusive than surface buoys and present no boating hazards . . . would be fun to explore while diving too! “A town with 55,000 inhabitants would need half a square kilometre of seabed covered with 100 buoys to power it,” AWS states. Wow this is way cool! Only a hundred buoys?